Originally conceived by SAFE in 2010 the initiative has grown rapidly with the support of leading aviation industry partners into a prominent venue located at one of the four corners of AirVenture's Boeing Plaza. 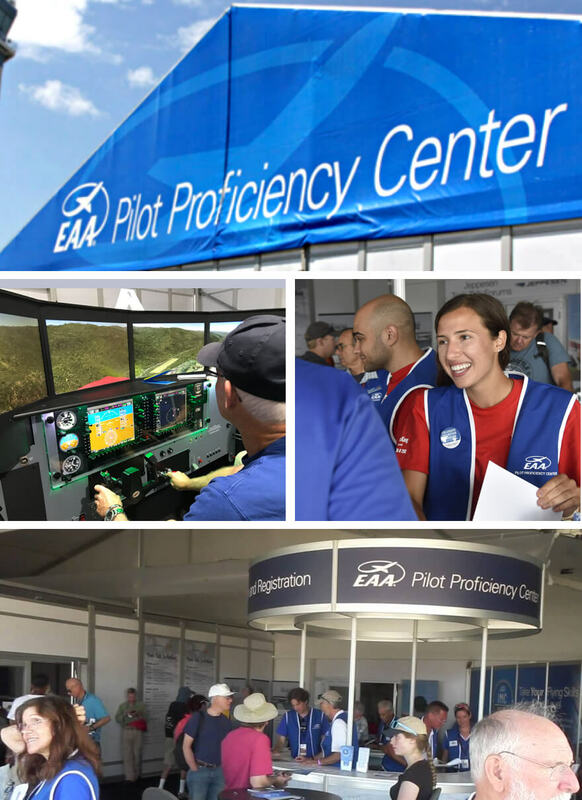 "I want to personally welcome you to EAA's Pilot Proficiency Center (PPC). We’re extremely excited about the improvements we’ve mage to our program. Our goal for the PPC this year is to provide a seamless learning experience from preflight briefing to post flight evaluation. Our “take away” initiative provides an opportunity for pilots to review their performance at our Oshkosh venue from home. Thank you for coming." We’re calling this our breakout year because you won’t need to wait for next summer to be exposed to a first class pilot training venue. We don’t want you to stop training when you leave. Consider your participation in the program at AirVenture as an orientation to resources that you can access at home. We’re making our scenarios available to a nationwide network of simulation centers and qualified instructors so that pilots can keep learning. It’s my goal for the PPC to inspire you to develop a proficiency regimen of your own that you can maintain year round.